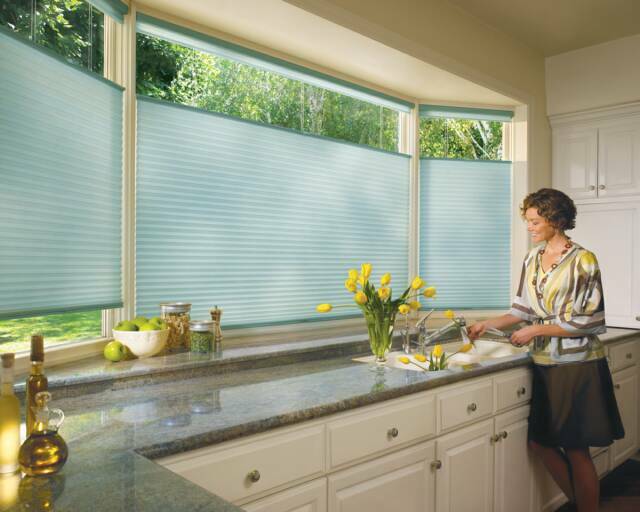 Hunter Douglas aluminum horizontal blinds are a smart decorating choice for a lot of reasons. 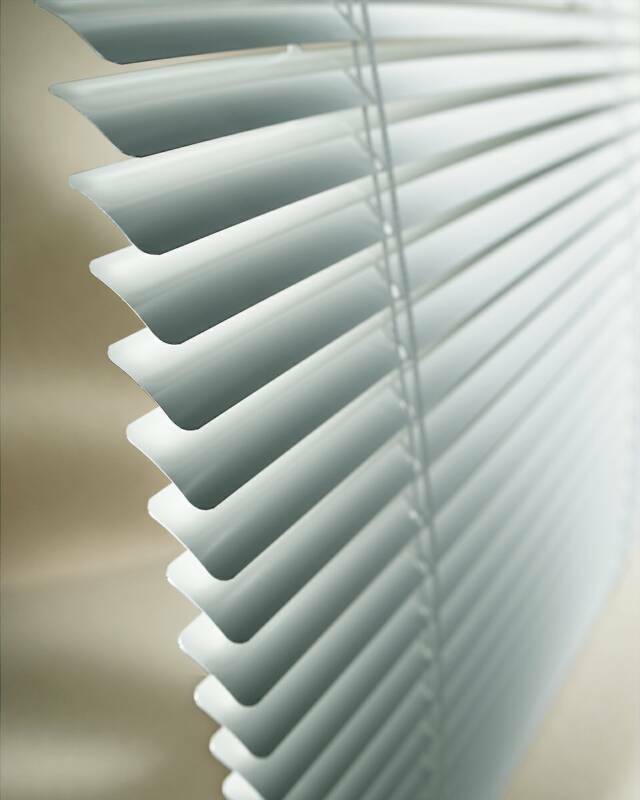 For starters, their durable, spring-tempered slats bounce back even with rough handling. These budget friendly blinds are also decorative and are available in a wide variety of colors, textures, and finishes. 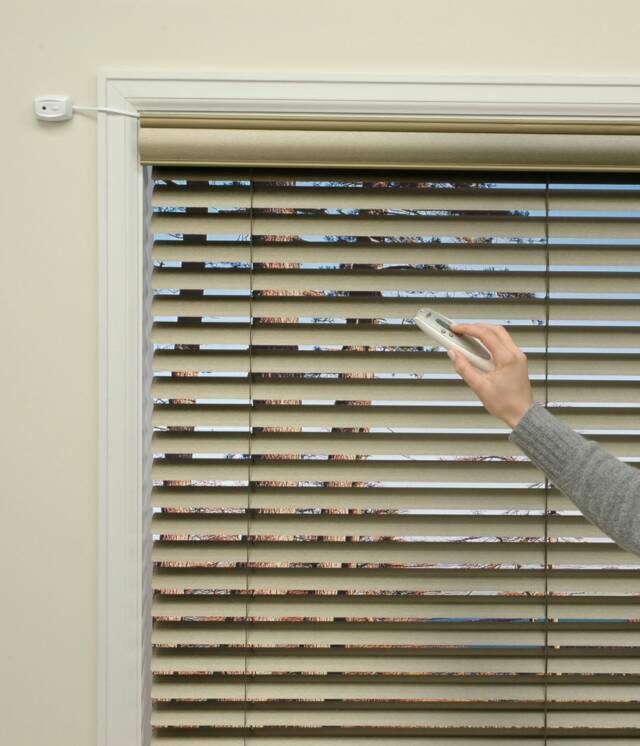 They also come with special features like de-Light™ which hides cord holes completely for impressive light-blocking action, and a hidden control system that eliminates the cord altogether and lets you raise and lower your blinds with just the touch of a finger. 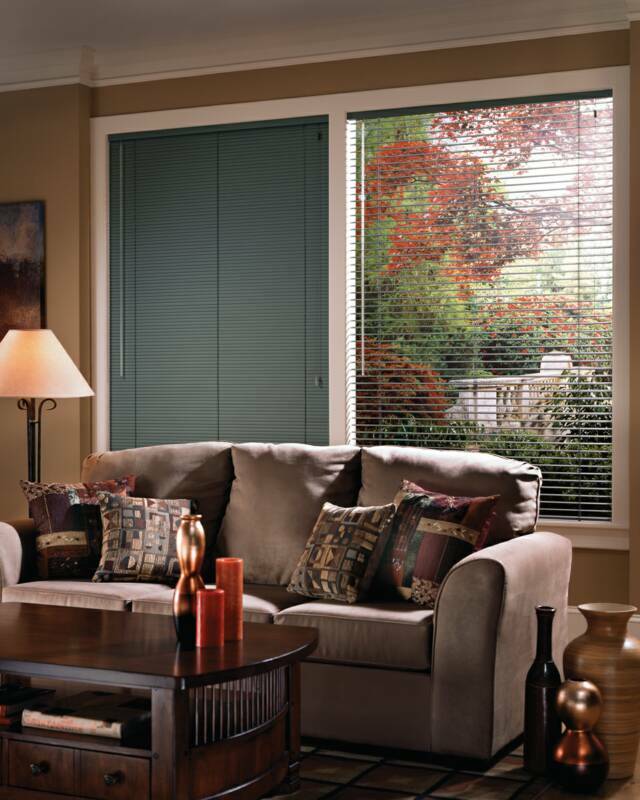 So, if it’s options you want, look to Hunter Douglas aluminum horizontal blinds. 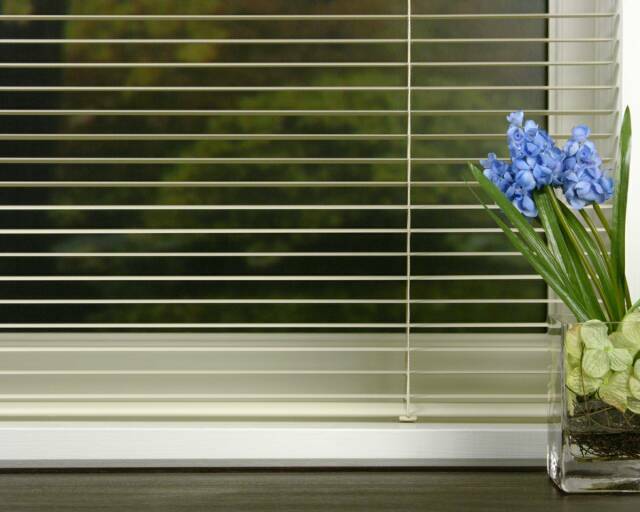 For many windows, Hunter Douglas aluminum horizontal blinds offer the best options in light control, color, and design. They are available in micro one-half inch, mini one-inch, and macro two inch slat sizes with special finishes and hundreds of designer colors. It’s like nothing you’ve ever seen before. An optional finish that’s so much like fabric, it’s difficult to believe it’s really a metal blind. 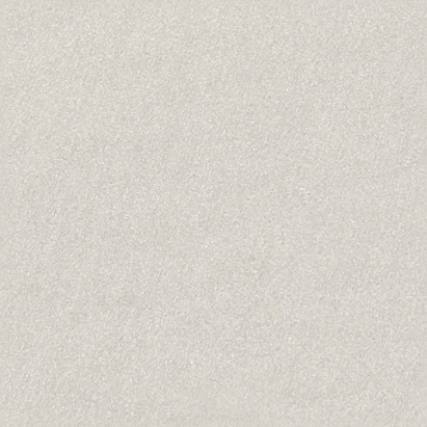 Our revolutionary SoftSuede® is a totally unique finish that captures the plushness of suede together with an unusual richness of color. It’s a beautiful new concept designed to add warmth and elegance to any room - a look you’ll find positively irresistible. All Hunter Douglas blinds are now protected with Dust Shield™, a revolutionary paint coating system that reduces static electricity and actually inhibits dust from collecting.